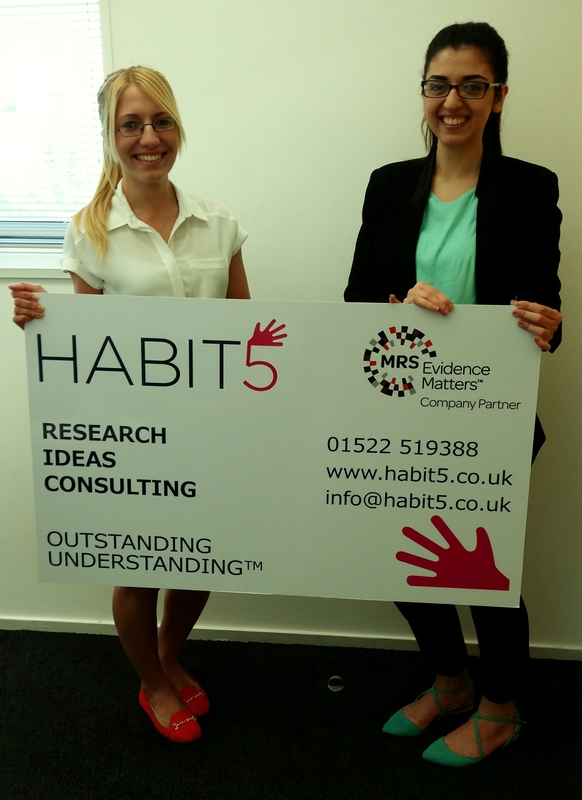 Over the last couple of weeks Habit5 has welcomed two new faces to our growing team, Anna Tuffs, and Noura Nehme have both joined us as Market Research Executives, initially working on three-month paid internships. Anna Tuffs and Noura Nehme say ‘hello’ to Habit5 having joined as Market Research Executives. Noura is a recent Management & Marketing graduate from the University of Lincoln who has carried out numerous academic research projects both qualitative and quantitative in nature. She is passionate about marketing and is delighted to be in a position where she can apply her creative and analytical skills to the business. “I’m looking forward to the daily new challenges and the opportunity to work with inspiring colleagues and professionals I can learn from,” enthused Noura. She aspires to gain an MRS Accredited Masters degree in the future and to keep on improving through continuous learning and dedication to best practice. Anna meanwhile, has just completed a degree in Clinical Psychology at the University of Lincoln and is thoroughly enjoying putting her skills into practice and learning new ways to conduct research. “Habit5 is heavily focused on understanding human behaviour and therefore coincides with my interest in learning about others,” reflected Anna. “As projects go live I’m looking forward to having a real input into how they are conducted and analysed,” she added. Both Anna and Noura hope to pursue MRS qualifications in the future and aim to hone their skills at Habit5. They have both hit the ground running, contributing strongly to proposals right from day one!